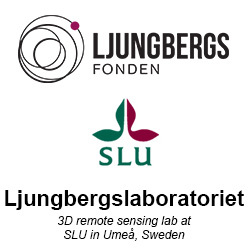 The lab will offer several seminars together with the Forest Data Lab. We will give a mix of seminars where some are focused on current research subjects and some are more hands-on use of softwares or programming languages. If you have additional suggestions for topics others than listed below, please contact Mattias Nyström. Jan 21, 2016 Videofusion and gimbal-scan-mode. Six students from Umeå University present their DBT-project done with the UAV in the Ljungbergslaboratory Daniel Lindmark, et al.